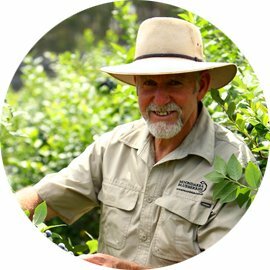 As the founder of Moondarra Blueberries, Mal Deveson, has over 30 years experience in blueberries and is respected as an expert in the blueberry and organic industries. He had been a long standing committee member of the Australian Blueberry Growers’ Association (ABGA) until 2009, and until recently, was a committee member of the Victorian Farmers Market Association (VFMA), and still sits on the VFMA accreditation committee. Mal is a member of the Organic Federation of Australia, Alternative Technology Association and the Victorian Farmers Federation. Through regular donations, Mal supports charities such as Friends of the Earth and GeneEthics.